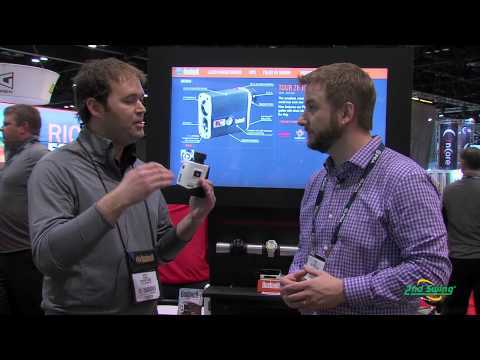 The Bushnell Pro X7 JOLT is one of the latest top-of-the-line line-of-sight laser rangefinders from Bushnell. 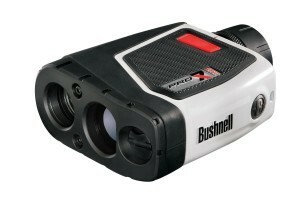 The device takes over from the Bushnell Pro 1M to offer enhanced capabilities. It provides the next generation of E.S.P. or Extreme Speed Precision, in order to offer faster and more accurate distance readings compared to previous models. The device is suitable for tournament use and offers an impressive 7x magnification. It features a maximum range of one mile with 550 yards to the pin and an accuracy to within one-half of a yard. PinSeeker technology separates true targets from reflective backgrounds while JOLT technology confirms target acquisition with bursts of vibration. Vivid Display Technology offers an astounding clarity with red data to improve the brightness of distance information. Use this Bushnell Pro X7 review to compare its features to those of other models before making a final choice. Comfortable Size:While some may be put off by the unit’s size the fact that it is big enough to hold easily with two hands makes it easier to hold steady. Vivid Display Technology:This technology allows the readings to show up much clearer and vibrant under all types of lighting conditions. Bulky:While some may appreciate its size, the fact that it is large and heavy can make it cumbersome to carry around. Price:The Pro X7 is one of the more expensive rangefinders with its features, and there are less expensive devices that provide many of the same benefits. The Pro X7 is easy to grab a hold of and is very comfortable with textured edges. The unit is quite large and can add too much weight for those walking. For those that use carts it requires much less effort to transport. Vivid Display Technology, or VDT, makes the data easier to read with its bright display and red numbering. E.S.P. 2, for Extreme Speed Precision, 2nd generation, allows to user to acquire targets quickly and with more precision. 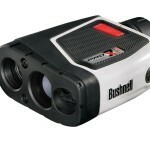 Bushnell’s trademark JOLT technology is presented in this unit, offering short bursts of vibration once the device locks on to a flagstick. The unit offers 7x magnification with high-definition optics for zooming in on distant targets. Vivid Display Technology improves clarity, contrast and the transmission of light in order to increase the brightness of the digital reading under all lighting conditions. PinSeeker works to eliminate false readings by singling out just the target in the crosshair instead of objects in the background. It works in conjunction with JOLT technology that creates bursts of vibration to indicate that the device has locked on to its target. Extreme Speed Precision, also known as E.S.P. 2, allows for much faster readings with determined accuracy. As a slight bonus feature, the unit is also waterproof to protect it from rainfall or other moisture. The Pro X7 boasts a maximum range of one mile, with 550 yards to the flagstick under the best conditions. The unit is extremely fast in firing and returning distance readings. It can pick up flags at or above 300 yards just as easily as it can at shorter distances. The Bushnell Pro X7 is one of the more expensive line-of-sight devices, but can still be found for less than $500. With its multitude of features it may be considered a fair tradeoff. It is also impressive in that it is simple to use, accurate and extremely fast.